If you are a single family, multi family, low or high volume builder, we will work one on one with you to develop customized accessibility solutions that will provide added value to your customers. Whether it’s custom sizing, décor matching, or assistance with placement and sizing, the builders and developers we work with benefit from having a design-build manufacturer directly at their disposal. If you haven’t worked on elevator projects before, we will make the process easy for you by assisting you from start to finish. By collaborating to realize common goals we are able to positively influence design and lifestyle to create a comfortable and sustainable living environment for your customers. In addition customization, our customers are able to receive significant benefits by using our products. With an aging demographic and increasing demand for sustainable living, the accommodation of elevators into newly built homes is becoming a catalyst for change. Builders and developers are creating viable long term living options for baby boomers to age in place by adding elevators to multi-level homes. By catering to this demographic, builders and developers are increasing the marketability of their projects significantly. With the rising cost of developable land, tall structures with a small footprint are continuing to increase in demand. 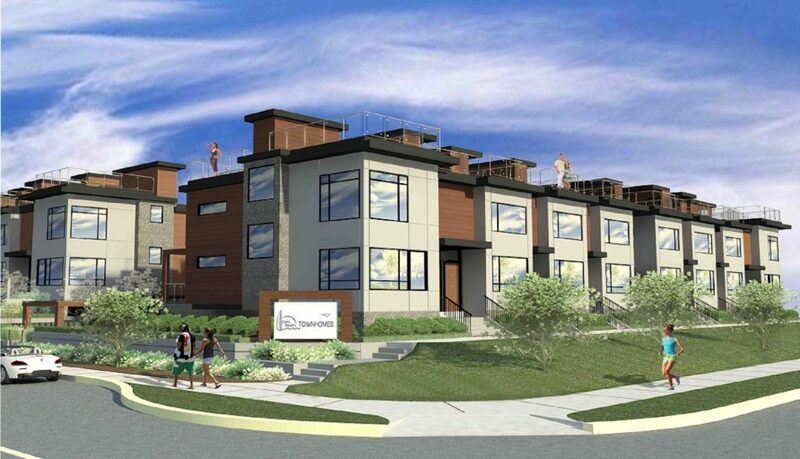 Multi-family developments are turning away from condominium style projects and towards town-home style developments for an increased level of community, privacy and standard of living. 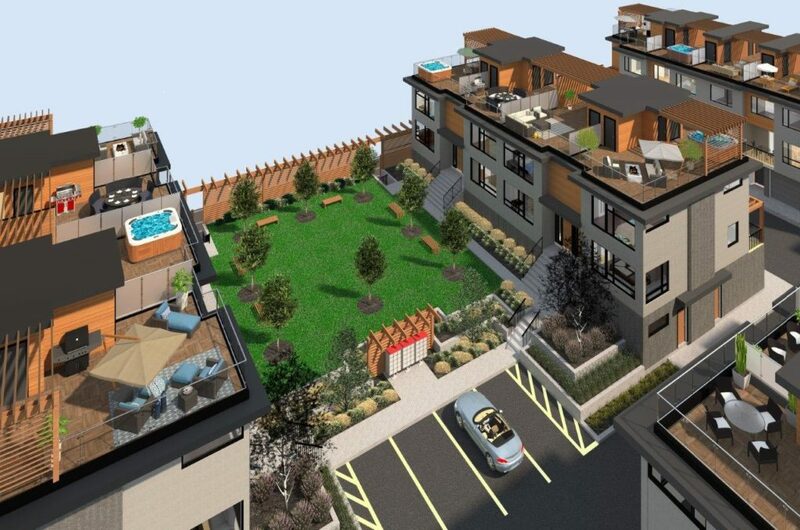 The Gyro Beach Townhome Development is located in the heart of Kelowna’s desirable Mission area, just steps away from the city’s most popular beach, “Gyro Beach”. Originally designed to accommodate young families and to serve as secondary homes for seasonal vacationers, the developers at Gyro Beach Townhomes were surprised to find that the demographic most interested in their project was the Baby Boomer generation. These Baby Boomers were looking to “downsize” or “right size” their homes in their quest for a sustainable place to age in place. The Baby Boomer demographic loved the fact that they could benefit from the independence and privacy of having their own home while minimizing the hassle of maintaining a full residence. This turnkey style of living was an ideal solution for those looking for hassle free retirement living. There were too many stairs. With a three story living space plus roof top patio, four flights of stairs were daunting to those looking to age in place. The developers of Gyro Beach Townhomes found that potential customers were asking about floor plans with elevator options. The developers had anticipated that a younger demographic would be interested in their project and had not considered the addition of elevators to their project. 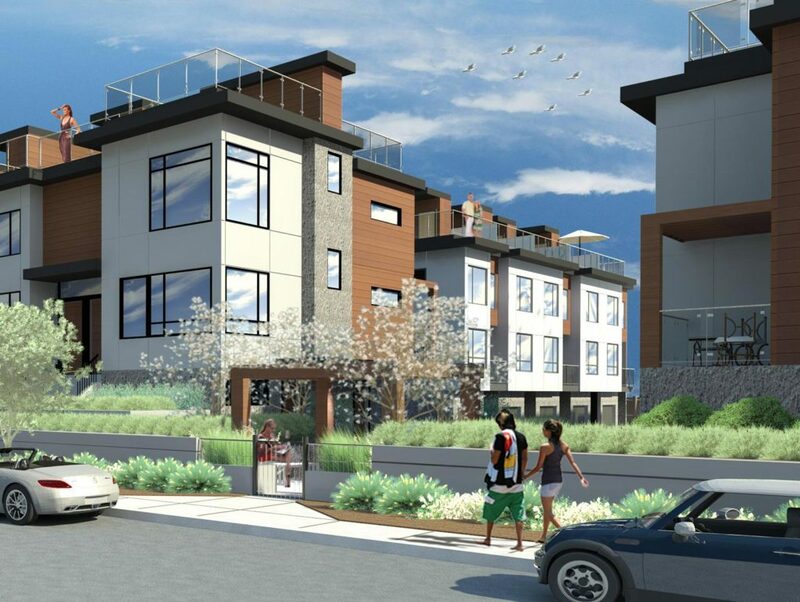 The developers of Gyro Beach Townhomes began to investigate Residential Elevator options for their townhomes. 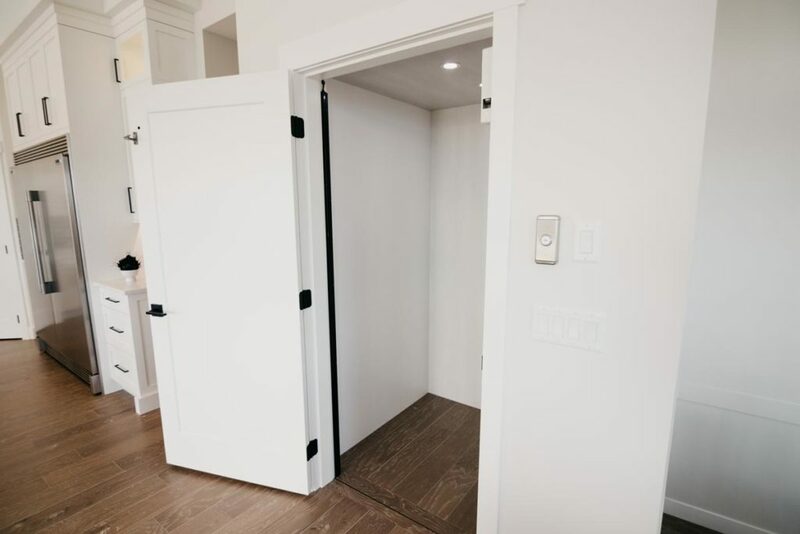 Because home elevators had not been part of the original concept, they found that the suppliers they met with were not able to accommodate the tight space that they had available. The developers of Gyro Beach Townhomes were introduced to Hybrid Elevator, a Design-Build Manufacturer of Residential Elevators. Due to the fact that Hybrid Elevator is a design-build residential elevator manufacturer they were not only able to accommodate the projects limited sizing requirements, they were able to customize the interior of the elevator for a seamless integration with the décor of the project. The developers of the Gyro Beach Townhomes were able to overcome the objections of their customers and meet their needs through the addition of Hybrid Elevators to their project. With Hybrid Elevators ability to customize sizing, every floor plan was able to accommodate a home elevator option. Seventy-five perfect of purchasers to date have opted to select the home elevator equipped unit and those who did not, have a floor plan with a pre constructed elevator shaft. In the meantime the pre constructed shaft will remain usable space, functioning as stacking closets. At the option of the customer, an elevator can easily be installed in the pre constructed elevator shaft in the future without requiring a major renovation.